The best way to find out what the Nottinghamshire Torch SCITT can offer is to come and visit us. All events are open to both School Centred ITT applicants and School Direct applicants. The Nottinghamshire Torch SCITT is holding an information evening for anyone who is considering training to teach, including current teaching assistants, career changers, anyone returning to work after a career-break, teachers trained overseas and those graduating in summer 2019. Please confirm your intention to attend by emailing rrimmington@toothillschool.co.uk or find out more information here. This is an ideal opportunity for anyone considering a career in teaching to spend a day at Toot Hill School, an outstanding secondary school on the outskirts of Nottingham and close to both the Leicestershire and Lincolnshire borders. 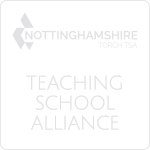 Toot Hill School is the lead school in the Nottinghamshire Torch SCITT and the Torch Teaching School Alliance. The day will involve a tour of the school, an observation of a lesson in the chosen subject area, a presentation on different routes into teaching and a question and answer session with a recently qualified teacher. There will be opportunities during the course of the day to talk informally to staff and to ask any questions you may have. All Taster Days run from 8.30am - 3.30pm. This is an ideal opportunity for anyone considering a career in Primary education to spend a day in one of our Partnership Schools. The day will comprise of a tour of the school, a presentation on the routes into teaching, drop-in sessions to either KS1 or KS2 classes and a question and answer session. Toot Hill School offers a variety of opportunities to people considering a career in education and are pleased to offer a week's work experience or individual days for those interested in teaching, considering a career change or for anyone who has already applied for a place on a teacher training course. It is advisable to gain school experience prior to commencing an initial teacher training course. In order to attend a School Experience Week, you must have attended one of our Taster Days prior to the week. An introduction to Toot Hill School and the community we teach. A day in a life of a student – Track a pupil for the day. An insight into being a tutor. A week in a department of the subject you wish to teach, where you will get to observe lessons. A DBS is required when attending the School Experience Week. The application process can take up to 8 weeks. "Great eye opener to teaching in a warm & welcoming environment. An absolute must!" "I found the Taster Day to be a great opportunity to get a feel for the range of activities taking place within a school at all key stages. All staff were really friendly and there were lots of opportunities to ask questions in an informal friendly setting. Thanks very much!" "SCITT Taster Day gave the type of experience that really helped me make my mind up about applying for ITT." "No question was too much, their passion shined. Thank you!" "Fantastic experience and crucial for anyone thinking of pursuing a career in teaching." "The Taster Day gave me a vital insight into the world of teaching, it allowed me to realise my certainty for the future. Victoria Primary is an incredible school, a school that shapes the lives of everyone who attends." "I feel so much more at ease about the whole application process!" "The Taster Day gave me a full insight into the eventful, supportive and exciting nature of the SCITT programme!" Please use the form below to book a place on one of our Taster Days (see above for dates/times/venues). This form is used to collect information regarding your interest in booking a place on one of our Taster Days and will only be used for this purpose. We need the information collected here to enable us to manage this process effectively. The information is for internal use only and will be stored on our internal servers. This information will be kept in line with our data retention policy. There are currently no School Experience Week dates available.